If you need to replace missing teeth or you are interested in restoring a smile when you have significant decay, dental implants could be a great option. Dr. George A. Mighion is a Mishawaka cosmetic dentist with a high rate of patient satisfaction with dental implants. Not everyone is a good candidate for dental implants but it could be the next best thing to natural teeth for you and Dr. Mighion would be happy to help you explore this option as well as alternatives to dental implants in his Mishawaka, IN dentistry practice. 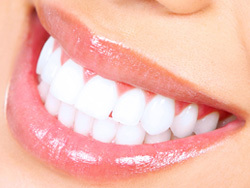 Dental implants are designed to behave the way natural teeth behave. 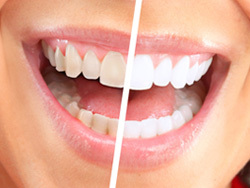 They look and feel natural and because they are permanent, you care for them the way you do natural teeth, unlike dentures, which need to be removed to be cleaned and which can have some unpleasant side-effects (moving, clicking, limiting the foods you can eat). Replacing missing teeth as soon as possible after tooth loss is important as adequate jaw bone is needed and the longer a tooth is missing the more bone loss occurs and impacts neighboring teeth as well as your overall facial shape. 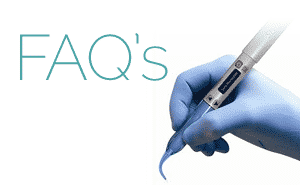 Are you ready to learn more about dental implants or dental implant restorations from Dr. Mighion? A consultation is just a phone call away and we can even help you explore dental financing for dental implants so that costs don’t have to get in the way of you getting the healthy, attractive, and functional smile you deserve. 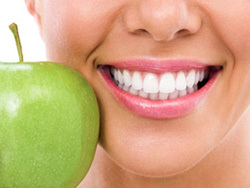 Dental implants have several benefits beyond the way that they look. They don’t stain or decay and can last for a lifetime. Dental implants can also be used in conjunction with dentures (implant-supported dentures and dental bridges). 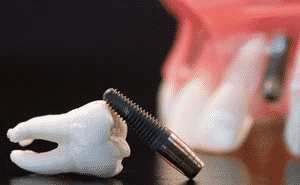 Consisting of a small titanium post that fuses to your jaw bone, along with a custom-crafted dental crown or a dental bridge, we can use dental implants to replace a single missing tooth all the way up to an entire arch. Dr. Mighion offers dental implant restorations, too, for those who have lost or damaged existing dental crowns. If you are interested in dental implants but require a bone graft to reduce your chances of dental implant failure, we can offer necessary referrals. Dr. Mighion works with dental implant restorations and crowns and partners with other skilled dental surgeons in Mishawaka, IN to place the titanium post. Once healed, you’ll return to our office to receive your handcrafted prosthetic. As with every procedure, you’ll enjoy the one-on-one attention and customized care that our patients have come to expect! Ready to learn more about dental implants or dental implant restorations from Dr. George A. Mighion? 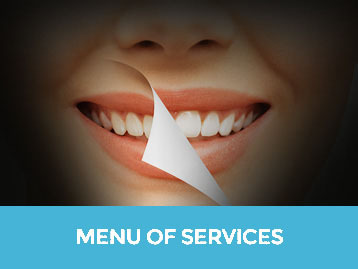 Contact our office to book a no-obligation consultation at 574.216.4064.